What is doggy day camp? The dogs are placed in indoor / outdoor play areas where they can socialize and play with other dogs. They are separated by size, temperament, and activity level. If a dog is tired, they can relax or take a nap on one of our cots or mats. Overnight Campers spend some down time in their rooms for morning and evening meals in addition to taking a short nap in the middle of the day. Paws-a-Palooza provides all-day play, so taking a walk will be the last thought on your Camper’s mind. Romping around with their friends all day provides them all the exercise they need for the day. Yes. We have both indoor and outdoor play areas. Paws-a-Palooza provides all-day play with other dogs so your dog has lots of fun and gets a lot of exercise during the day. Many “traditional” kennels typically leave the dogs in a cage most of the day, or they may be let out briefly or placed in an outdoor run a couple of times a day. The dogs at traditional kennels usually do not interact with other dogs. We have a thorough evaluation process to ensure dogs can play safely in a group setting and not have to be stuck in a kennel. 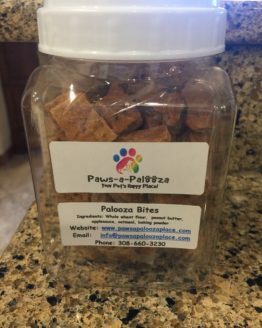 Paws-a-Palooza provides a unique fun, social environment for the dogs, and safety is our main priority. We have a stringent dog-to-staff member policy that ensures the safety of the dogs. Also our pricing is all-inclusive, so we will feed them at no extra charge, give them their medication and provide nighttime treats at no added costs. And, of course, access to our web cams in the roomy Canine Condos is also included, so you can always check on your pup while you are away! Yes. There are multiple dog discounts per family whether the dogs board separately or together in the same suite or condo. Check the “pricing” page to determine the rates for multiple dogs. We will provide your dog’s medications at no extra charge. For your pet’s safety, medication must be in the original bottle and the prescription must be current. Absolutely! In fact, we encourage it. Stop by or call Paws-a-Palooza anytime during business hours to set up a tour. Paws-a-Palooza has an all-day play environment, so dogs must be able to play safely in a large group. Every dog must have an evaluation completed during a meet and greet session so we can see how they interact with other dogs. They must be over 6 months old, be spayed or neutered, and be current on their Rabies, Bordetella (for canine cough), and Distemper vaccinations. They must be in good health, flea/tick free, friendly to all dogs, and generally love to play. If they are intact, they will only be allowed to have individual one on one play times. What is the Camper Evaluation? We started this business with the purpose of improving the lives of our furry friends and their owners. When creating policies for our Day Camp, we first and foremost consider the safety, health and happiness of our Campers, second, the wishes of our human clients, and third, the reputation of our company. We have a very stringent application and interview process for our Campers – all dogs must pass this before entering our group play environments. Our employees go through training in pet CPR and first aid, dog behavior, and play yard monitoring techniques. We work with experts in dog behavior to create policies designed to evaluate each dog on an individual basis. What happens during a Camper Interview & Evaluation? The interview consists of us starting off by checking your dog over to ensure they are comfortable being handled. This is a time for the employees to get to spend a little time getting to know your dog and making sure they aren’t nervous of people. They will also look your dog over for any possible issues such as fleas and ticks and for any existing injuries that may worsen when playing with other dogs. Other dogs will be introduced into the interview area one at a time to see how your dog interacts with other dogs. After our evaluators are confident that your dog feels secure in the environment, your pup will be introduced into the appropriate play area based on their size, temperament, and activity level. Since Paws-a-Palooza is a play environment where they will be in a large social group with other dogs, we want to ensure they are able to handle it. This ensures your dog’s safety, and also the safety of all of our Campers. In our social environment, it is extremely important that our Campers can play with all dogs so we can keep the play yards safe and fun. The interview process also allows us to introduce your dog into the general play areas slowly so that we do not over stimulate your dog. Paws-a-Palooza welcomes all dogs based on their behavior and ability to handle the rigors of Day Camp. It is not company policy to turn away a dog based on breed. We require that dogs be at least 6 months old because the dogs will be fully vaccinated by that age as well as old enough to be spayed or neutered. All dogs must be current on Rabies, Bordetella and Distemper. Oral Bordetella accepted if given within last 6 months. Injectable or intra-nasal accepted if given within the last 12 months. Your vet will need to provide us proof of these vaccinations before your pet will be allowed to participate. All of our employees are trained in pet first aid and CPR and we will take excellent care of your dog. In case of illness or injury, we quickly assess the situation to determine what plan of action to take. Our concern is always what is best for our canine Camper. Depending on the situation, we will either rush the Camper to the closest vet or, in non-emergency situations, we will make the effort to take them to their own vet. Every dog is different, but our interview process is designed to assess whether your dog enjoys this environment. At the end of the interview, we provide a report card and will talk to you about how your dog interacted with the other dogs and if they enjoyed their time with us. We want your dog to be happy as much as you do and promise to be honest with you if we feel this isn’t the best possible environment for your dog. This will depend on your dog. The interview process will also help us, and you, determine if our environment is right for your dog. Our employees are constantly evaluating each Camper’s behavior, and if they view your dog as overwhelmed or tired they will remove your pet from group play and give him some downtime to relax. This is one of the great benefits of Day Camp! Your dog gets to play all day so, naturally, they are tired at the end of the day. Often, when you take your Camper home, they will curl up and go to sleep. For our Overnight Campers, we require a mid-day nap. Many of our Day Campers enjoy a mid-day nap as well, but it is not required. We are not closed during nap time on weekdays but the lights will be dimmed and music turned down to allow for a more calming and relaxing downtime. Water is available at all times in all of our play areas and kennels. Playing hard all day is just as strenuous as working out. Even though water is available, after a car ride home, it will probably be time for your Camper to drink some more water to help re-hydrate after a hard day of play. Paws-a-Palooza has monitored security, fire, and temperature control alarms. Studies show that the dogs sleep better at night without a human present. In our environment, where the dogs are active all day, getting a good night’s rest is important. There will be times when there is an overnight attendant at Paws-a-Palooza. Please be aware though that he/she is not interacting with the dogs during the night and the dogs are not let out to use the bathroom. We want to offer this service to ease the minds of those owners that might feel uneasy about leaving their pets alone and unattended. In kennels with indoor / outdoor dog runs, the outdoor section is closed off at night for security purposes. If your dog requires overnight monitoring, the best options to look at are in-home pet care or medical boarding (provided by most veterinary hospitals). We strongly suggest bringing your dog’s food from home to keep their stomach from getting sick during their stay. We will happily feed your pup our food, but it is best for them to not change foods rapidly. If you would rather we feed your dog our food, there is no extra charge. We will provide toys, rawhides, nighttime treats and a cozy place to sleep. If you wish to bring toys, bedding, or anything else that will help make your dog feel more at home, we can certainly accommodate this. For overnight boarding, we need a reservation. For Day Camp, we can often accommodate short notice or same day notice (if your dog has previously completed the interview process), but it is always a good idea to reserve or call ahead to make sure there is room in your dogs designated play group. Please be aware that holidays book several weeks to months in advance. 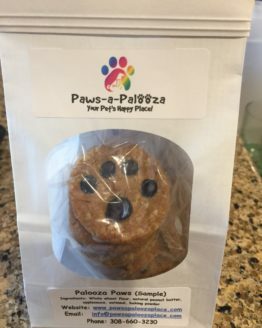 You can call us during regular business hours or request a reservation online through the Paws-a-Palooza website. We will reach out to you to confirm your online reservation request. We require that you contact us at least 48 hours prior to your scheduled appointment to cancel in order to avoid getting charged the boarding fee. Should I feed my dog before going to Day Camp? It is best to have your dog eat a minimum of 1.5 hours prior to coming to Day Camp to prevent bloat. Bloat can be caused from playing too soon after eating, and it can be deadly. If your dog ate less than 1.5 hours before coming to Camp, please let one of the employees know for the safety and well-being of your pet. Is there a specific kind of collar my dog must wear to come to Camp? Yes, Paws-a-Palooza requires that all dogs wear a quick release collar with an ID tag including your name and phone number. 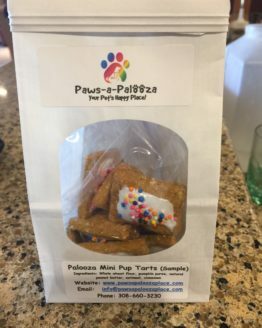 My dog’s paws are very sensitive after his/her stay with Paws-a-Palooza, did something happen to my dog’s feet? It is very common that your dog’s pads will be sore after playing at Day Camp, especially when they first start coming. Most dogs’ paws are not used to playing all day, but rest assured it is only temporary and they will build stronger pads the more they visit Camp. We will have a groomer onsite a couple days a week. Please let us know well in advance if you would like your dog groomed, bathed, or nails trimmed during their stay at Paws-a-Palooza.